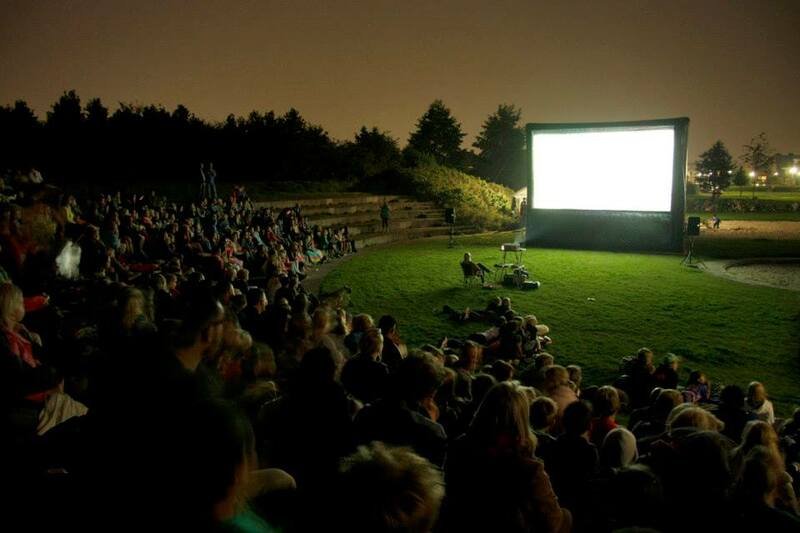 If you are thinking about starting your own business: How about starting an outdoor movie company? And there are so many more ideas not created yet, it gives you free rein to your creativity! The best about this: it is pretty easy to install our plug and play products. AIRSCREEN complete outdoor cinema systems are starting at affordable 5,190 EUR (5,600 USD). An inflatable movie screen, full HD projector and a professional sound system – all you need is included. To help you grow your mobile cinema business you will also gain leads from us. It’s a proven business model and it successfully works in many countries worldwide. There is no experience necessary to go ahead. Get started and join the AIRSCREEN family – use our knowledge, support and marketing material. Learn from our partners worldwide how to organize, promote and establish your own event company. If you are still unsure take a look at our “People behind AIRSCREEN” section to learn about our partners and how they started their open air cinema business. Contact us today at info@airscreen.com or fill in our online contact form by clicking HERE and we’ll get you on your way to running your own event production company. Everybody knows and loves the travelling cinemas as a special form of outdoor cinema. However a cinema only powered by the sun is an unique experience – both for attendees and staff. Dutch filmmaker Maureen Prins started the Solar Cinema in the Netherlands in 2006 to bring unseen films to unusual places and to promote the use of renewable energy. 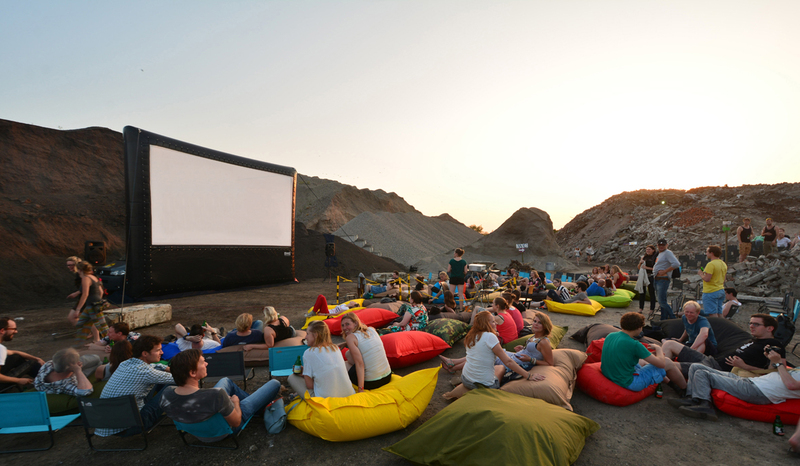 Whether parks, local squares, locations on the beach or even gravel pits – there are no limitations for such a mobile cinema. Especially with their inflatable movie screens the set-up is very easy and the whole stuff can be carried in a small car. In 2010 the new brand ECOCINEMA was created to internationalize the project. Nowadays ECOCINEMA is travelling around Mexico, Chile, Uruguay, Brasil or Ecuador and there are many more to come in 2015. The Guadalajara International Film Festival (FICG) is a big cultural event for the city of Guadalajara and Mexico as well, because it is the most important cinematographic event in Latin America. Over 900 movies from México, Latin America and the rest of the world are competing. It is a festival made by all and for all. That is the reason why the festival is designed for the viewers to enjoy a variety of activities. Among other things an inflatable screen brings free outdoor screenings to the people during the festival. Beautiful places host outdoor movie nights and show classic movies on a 30 feet wide mobile cinema screen.